This is another simple dish to cook but great tasting. French beans can be cooked in many different ways including blanching and steaming but I find it most delicious when it is stir-fried with garlic and egg. The crunchiness and sweetness of the french beans mixed with the fluffy-fried eggs gives this dish a good balance in taste and texture, not to mention the healthiness. Try choosing the younger and lighter green french beans which are younger, tender and less fibrous compared to the older and darker coloured variety. Cooking time varies depending on how thinly you slice the french beans diagonally. Obviously, cooking time is lesser if you slice it thinly. You will also have to manage the heat from the cooker as you do not want to burn the garlic. 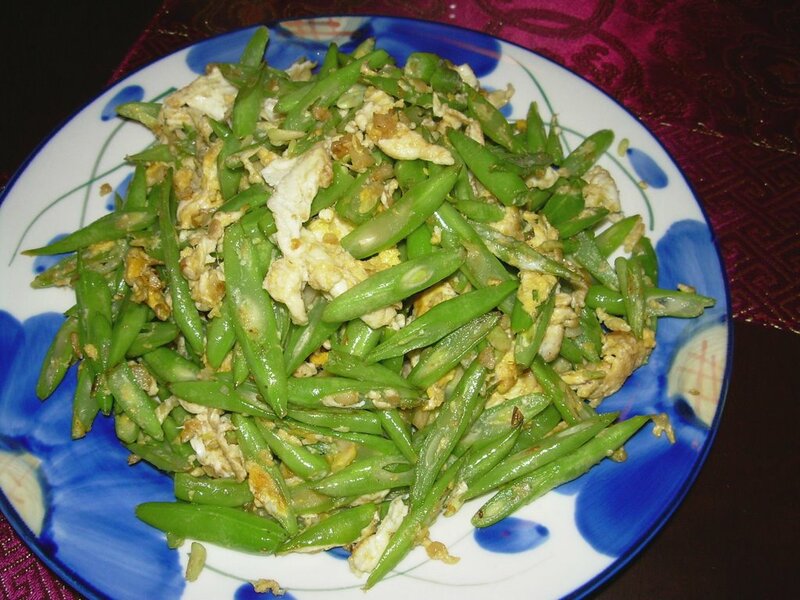 This is my wife’s recipe for Stir-Fried French Beans with Egg. Heat 1 tablespoon of oil in wok on medium heat. Lightly stir fry the garlic till it begins to brown. Add french beans and stir fry at medium high heat for 1 – 2 minutes. If garlic is browning fast, reduce heat. Sprinkle seasoning to taste. Make a well in the wok (i.e. 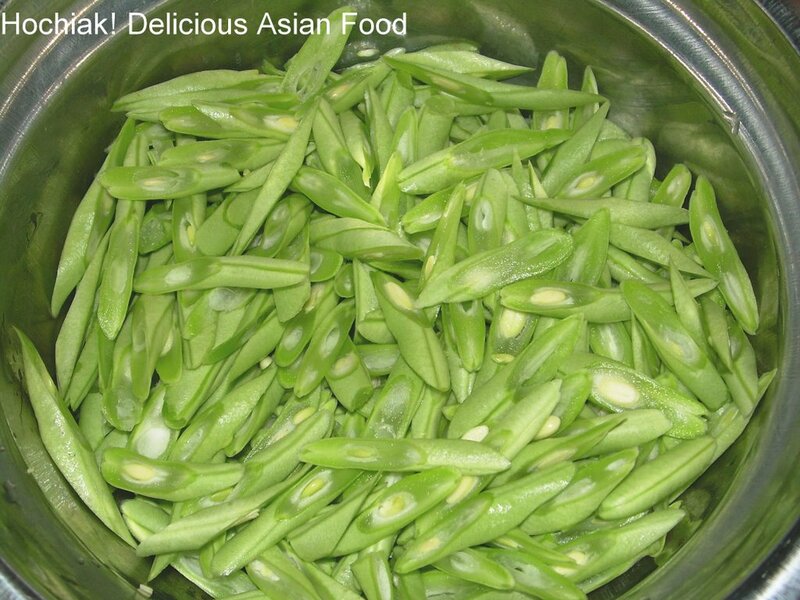 move the french beans from the center of the wok), increase to high heat and add 1 tablespoon of oil. Break egg into the oil and let it fry till semi-solid. Mix and stir french beans into the semi-solid egg and fry for 30 seconds or so. Remove from wok and serve hot with rice or plain porridge.